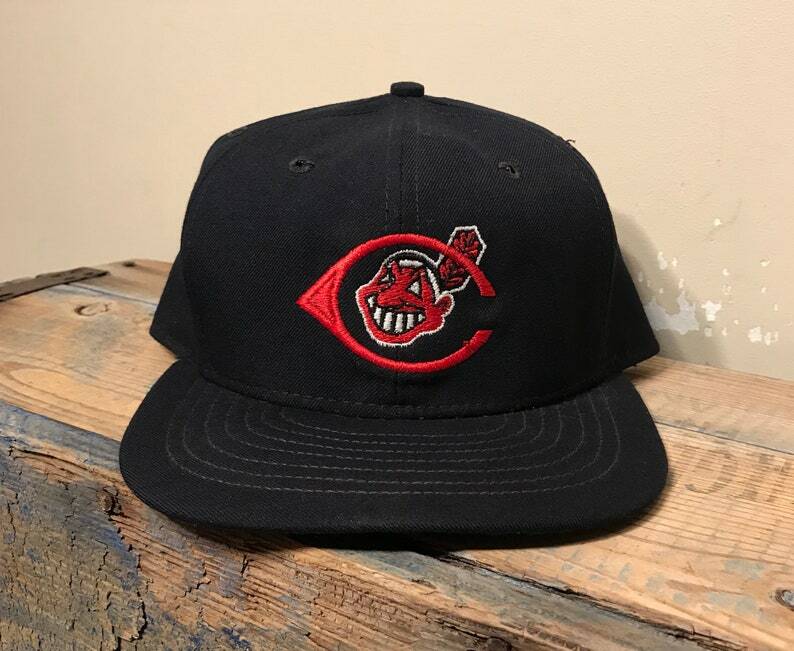 Sweet old indians hat. Made by Roman Pro. Fitted size 7 3/8. Hat appears to be deadstock. Never worn or used. Check out pictures to see what you get. Hat will be shipped in a box to keep it from getting damaged.